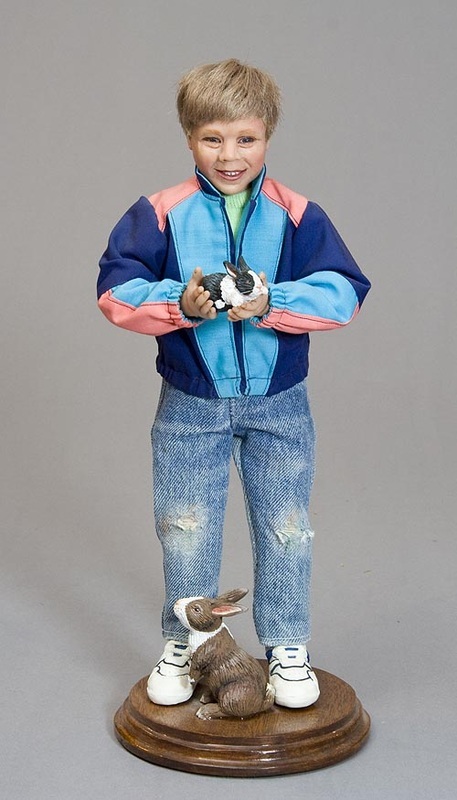 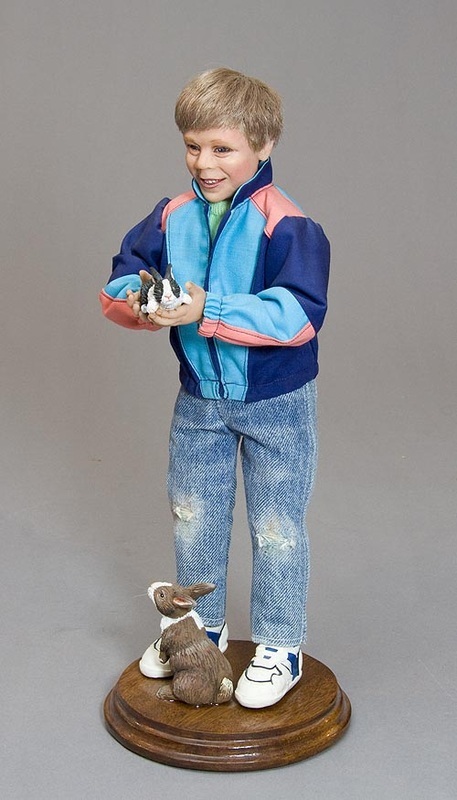 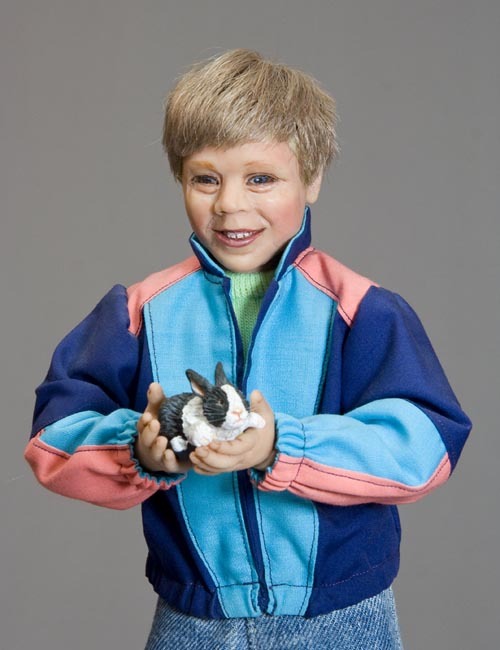 Modeled after Martha's son Michael, wearing his favourite jacket, and holding a pet bunny. 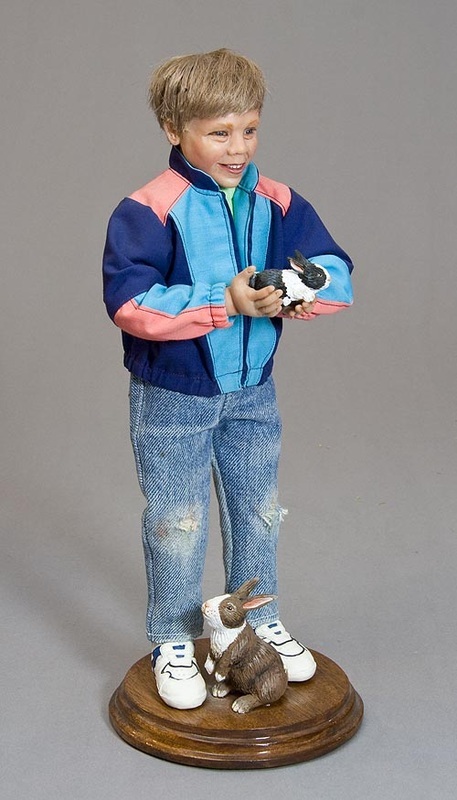 Head, hands, and shoes sculpted of Super Sculpey, on a wire armature, by Marianne Reitsma. 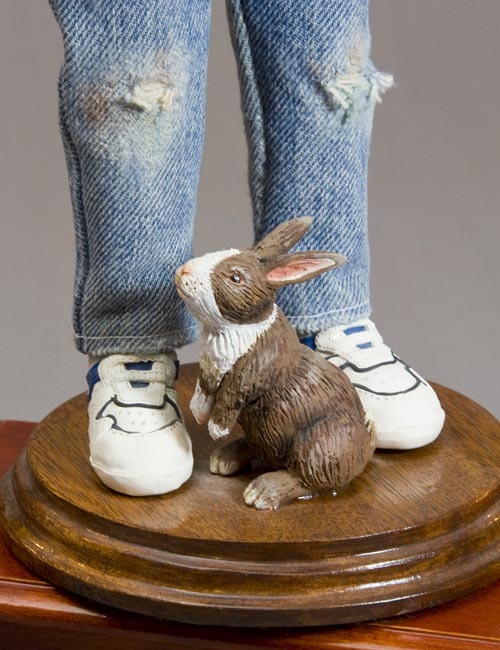 Marianne also sculpted and painted the two bunnies. 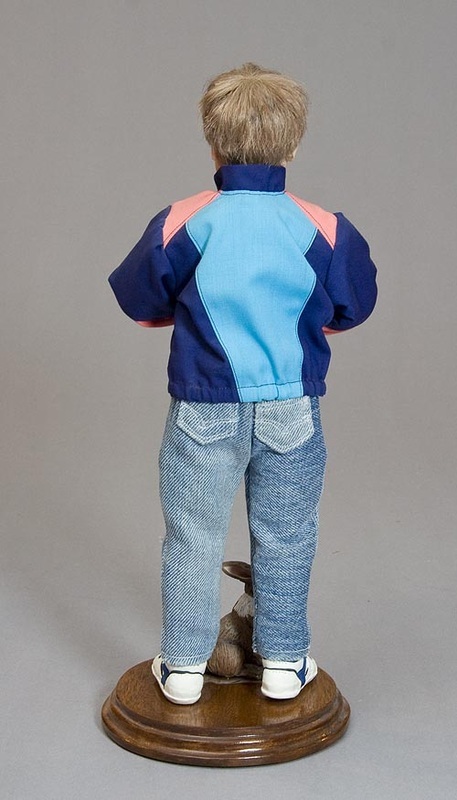 Cloth body, clothing and hair by Martha Boers.